Latham River at Jekyll Island State Park, Georgia, where the river flows into Jekyll Sound. 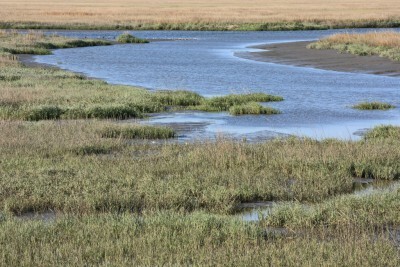 The health of the Jekyll Sound ecosystem is influenced by streamflow and the associated nutrient loads. Photo credit: Alan Cressler, USGS. Maps and data tables that describe nutrient loading to major estuaries throughout the conterminous United States are now available online. These maps show the major sources of nutrients and their contributing areas for 115 estuaries along the Atlantic coast, Gulf of Mexico, and Pacific Northwest coast and from 160 watersheds draining into the Great Lakes. 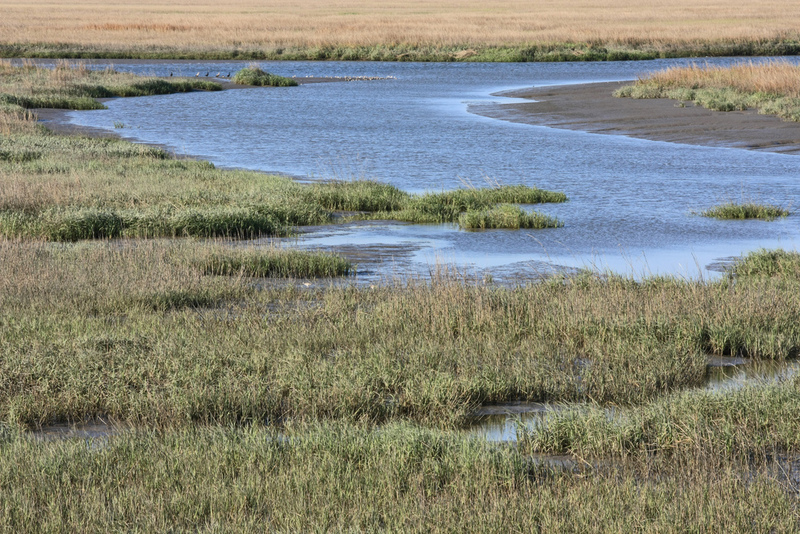 Information on the sources and areas within a watershed that contribute nutrients to the Nation’s estuaries can be used to target nutrient reduction actions and inform nutrient policies. Streamflow and nutrient loads delivered to coastal estuaries have a major influence on the health of coastal ecosystems and can affect conditions such as hypoxia. Hypoxia is a decrease in oxygen levels in coastal waters that can cause sea life to leave the area or perish. In addition to the maps, water resource managers interested in a particular stream, reservoir, or estuary can use the online, interactive SPARROW model decision support system (DSS) to estimate how reductions in nutrient sources affect downstream nutrient loads at a stream outlet. A new reporting feature within the SPARROW model DSS provides summary information on the amounts and sources of nutrients from upstream States or major hydrologic regions. For instance, output from the new reporting feature shows the amount of nitrogen contributed from each of the 31 States that drain into the Gulf of Mexico from the Mississippi River Basin. This combination of national maps and an online decision support system are provided to improve access to water-quality modeling information that can be used in the development of nutrient reduction strategies and that can inform nutrient policies across the Nation. This work was supported by the USGS National Water-Quality Assessment Program.